This recipe uses ingredients from my summer garden and is why the quantities are not explicitly given. Generally I aim for about a cup of sauce per person but that is very flexible. If more tomatoes are ripe today, more get added to the sauce. 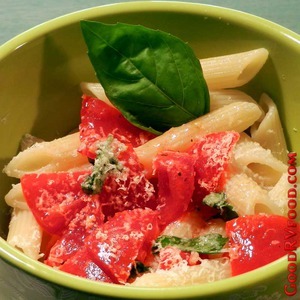 I prefer the Roma tomato variety, but any flavorful meaty tomato works in this recipe. 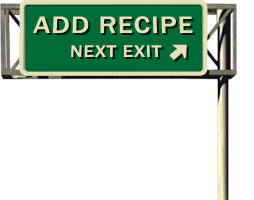 If you are new to cooking by taste, this is the perfect learning recipe because everything is safe to taste as it is being prepared adjusting flavors to suit your personal taste along the way. In a bowl with a cover combine diced ripe tomatoes, fresh chopped basil, pressed or minced garlic, just enough olive oil to coat the tomatoes, salt and pepper to taste. Cover and let sit to bloom the flavors at room temperature between 20 minutes up to several hours. Do not refrigerate or cook. Prepare your favorite bite sized pasta, drain but do not rinse. While still hot toss the pasta with the sauce. Top with freshly grated or shaved Parmesan cheese.